Eric Radford was born today, January 27, in 1985. He is a Canadian pair skater. With partner Meagan Duhamel, he is a two-time world champion (2015, 2016), an Olympic silver medalist in the team event, a two-time Four Continents champion (2013, 2015), the 2014–15 Grand Prix Final champion, and a seven-time Canadian national champion (2012–18). He is headed back to the 2018 Winter Olympics, as was recently reported here. Radford was born in Winnipeg, Manitoba and raised in Balmertown, Ontario. He moved to Kenora at age 14, to Winnipeg and Montreal at 15, and to Toronto at 16. He studied music at York University and holds a Grade 9 Royal Conservatory of Music certificate. He plays piano and writes and composes music, and registered as a member of the Society of Composers, Authors and Music Publishers of Canada in 2014. During the summer of 2016, Radford composed the 2016–17 free skate music for fellow Canadian skater and three-time world champion Patrick Chan. Radford began skating when he was 8 years old. He also competed in single skating in his younger years. At the 2005 Canadian Championships, he became trapped in an elevator just before he was scheduled to skate in the men's qualifying round but eventually escaped and was able to compete. At a coach's suggestion, Radford had a tryout with Meagan Duhamel in 2010, and they decided to compete together. They won a silver medal at the 2011 Canadian Championships and were assigned to the Four Continents and World Championships. 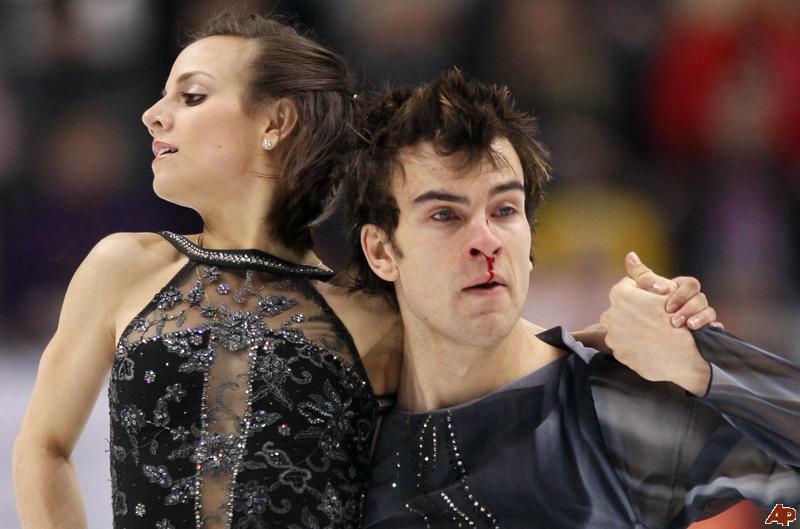 At Four Continents, the pair won a silver medal. During the short program at the 2011 World Championships, Radford's nose was broken when Duhamel's elbow hit him on the descent from a twist, their first element – she opened up too early. They finished the program without a pause. In December 2014, Radford publicly came out as gay in an interview with the LGBT publication Outsports. In doing so, he became the first competitive figure skater ever to come out at the height of his career while still a contender for championship titles, rather than waiting until he was near or past retirement. At the 2015 World Figure Skating Championships, Radford and Duhamel's gold medal win in pairs skating made him the first openly gay figure skater ever to win a medal at that competition. He is an ambassador for the Canadian Olympic Committee's #OneTeam program to combat homophobia in sports. He became engaged to his boyfriend, Spanish ice dancer Luis Fenero, on 10 June 2017.